Bellarmine offers interested individuals the opportunity to meet with an experienced religious or lay spiritual director. One usually meets with their spiritual director once a month for about an hour. There is a stipend requested to help support the ministry of a professional spiritual director. When working with a qualified intern under the supervision of a professional director, there is no fee. If you are interested in meeting with a spiritual director, fill out the form below. 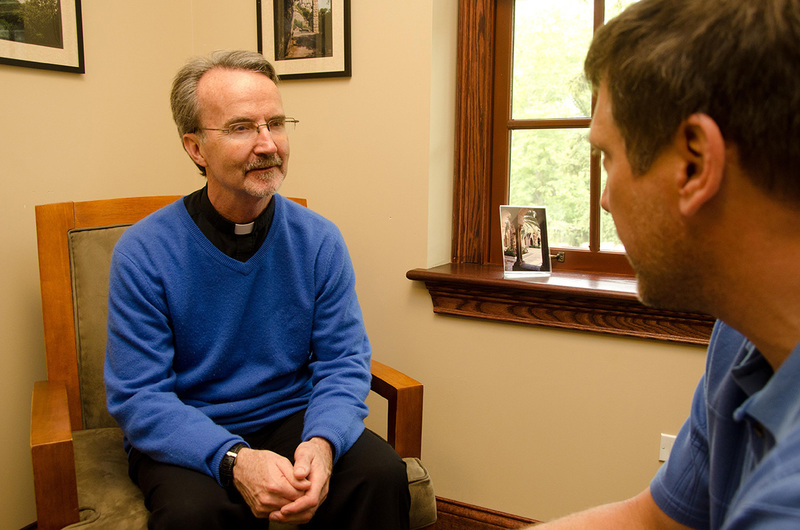 You will be contacted by a member of the Bellarmine staff to pair you with a director for spiritual consultation. Please allow a week to hear from Bellarmine regarding a spiritual director. If your need requires immediate emergency attention, please contact the Archdiocese of Chicago at 312-534-8200. If so, how did you benefit from it? What in particular moves you to seek Spiritual Direction at this time? What qualities are you seeking in a Spiritual Director? Bellarmine is helping to meet the growing need for spiritual directors by offering a spiritual direction internship course and spiritual directors to interested individuals.